A few weeks ago I made the trip to Seahouses so I could finally see some Puffins on Farne and Staple Islands. The boat trip was awesome as we saw tons of nesting birds, grey seals and thousands of birds to include Guillemots, Razorbills, Eider Ducks, 4 species of Terns and 70,000 Puffins. This is the perfect time of year to see them as the birds are nesting but this also makes the terns dangerous. But we will get to that later. The islands are amazing and even David Attenborough says it’s his favourite place in the UK to see nature at its best. Honestly when we got to Staple Island I was in awe of just how many birds there were. Puffins everywhere as they went to and came back with mouthfuls of fish to feed their chicks. They nest in burrows built into the ground so they fly back and shoot into the ground which is pretty cool. A few facts that I learned was that the colorful beaks on the Puffins are only on during this time of year. It was incredible to see over 20 species of birds with all the chicks. It was a last minute decision for me to go and it was great timing. I have heard many people haven’t had success in seeing Puffins. On my way to the 2nd island, Farne I was asked if I had a hat. I replied no and was told you need to fear the Terns. Luckily I had a jacket in my camera bag with a hood. I couldn’t imagine what was in store. It was literally like a scene out of the movie Birds. The Ferns are in the middle of the entrance to the island and they are protecting their chicks. They are constantly yelling at you and poke you in the head constantly as you walk on the island. It was freaking fun and insane at the same time. I can understand why as you are walking around their young and they are very protective as they should be. You can see them below. They are the white and grey birds with the red beak. 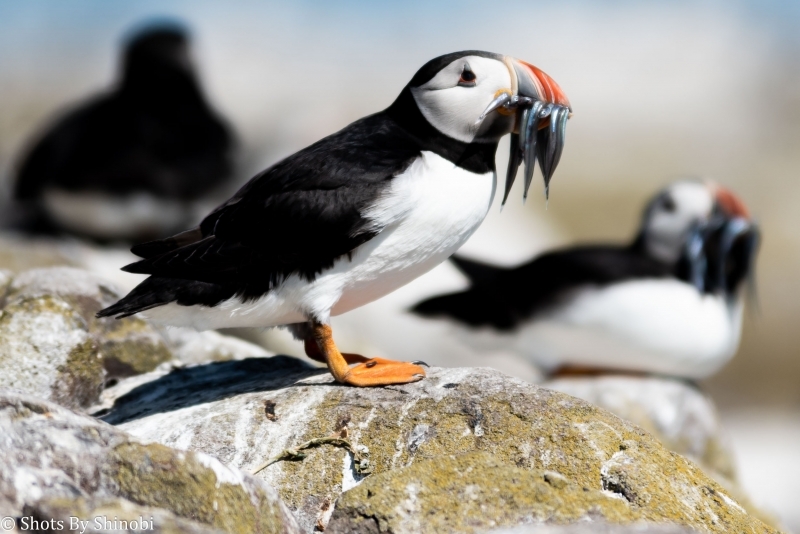 As you make your way through the island you see Puffins feeding but they are being chased by bigger birds as soon as they land. They have to break for their underground burrows as soon as they land or they lose their food. It was like Friday, What you got on my fish homey! 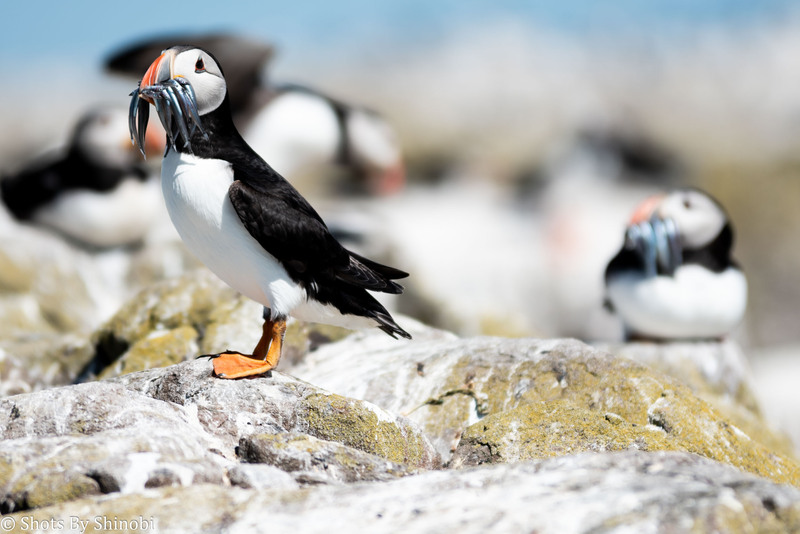 Finally I got some shots of Puffins with fish in their mouth. Although I didn’t have a large enough zoom lens I was fortunate to not lose much quality on some of the cropped images below. On the boat trip back we were treated to playful dolphins swimming next to the boat. It was truly an amazing day and I would suggest it as a day out on the water.